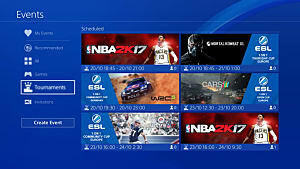 For all of the complaints that fans of the NBA 2K series have about stale gameplay or issues in the community, there's no denying the fact that NBA 2K17 offers the most diverse franchise mode in all sports games. 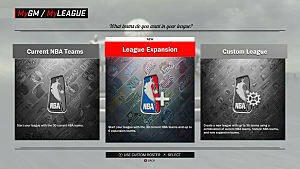 Between the customization of MyLeague -- which allows for expansion and relocation -- the challenge of MyGM, and even the ability to start your season today (good luck getting New Orleans to the playoffs! 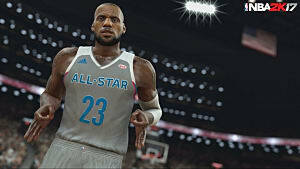 ), there's enough in 2K's latest basketball showing to keep you making virtual trades in hopes of a virtual championship. But, to take down the league's super-teams that reside in Cleveland, Golden State, and Houston, you'll need some help -- especially if you're a rebuilding team like Brooklyn or Denver. Free agency and waiting for that big fish -- the Stephen Curry, the Paul George, even the LeBron James -- isn't always a guaranteed strategy, nor is stockpiling draft picks and filling out the roster with D-League players. To win and build a dynasty, you need a strategy. And you need cheap players that will get the job done while also having space to grow. 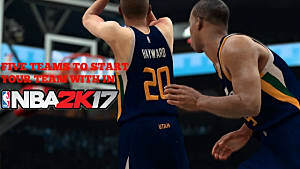 Regardless of whether you're a middle-of-the-road team or a rebuilding team, there are plenty of players in NBA 2K17 who, with a bit of research and effort, would fit comfortably into your team and its future. The first thing to keep in mind with this is that these are all players who, more often than not, will be available with little to no bargaining early on in your franchise. With one of these players, you may have to give up a player making a lot of money to compensate for the salary cap, but these aren't guys you're going to have to offload everything for. Also, keep in mind that if you're really trying to build a franchise team, use the offseason workouts to your advantage. Because these players all have potentials in the mid-to-high 70s, you'll want to use the 'Untapped Potential' camp to raise that grade up a level (i.e. C will go to C+, C+ will go to B-, etc). 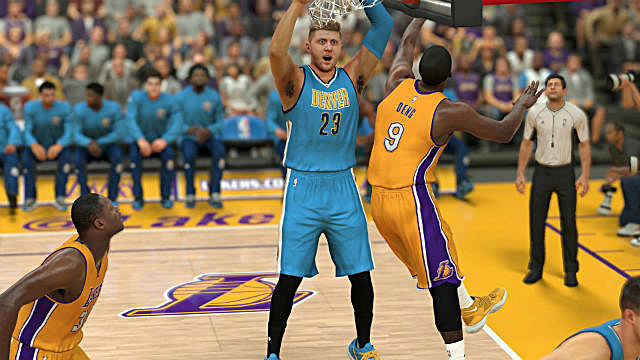 There's one final disclaimer, and that's that all ratings below come from the latest official NBA 2K17 roster update. With that said, pick up your phone, open up your analytical spreadsheet, and let's figure out who you need on your team to build the newest dynasty. At this point in his career, the Michael Carter-Williams who had three triple-doubles in his first three games for the Philadelphia 76ers in 2013 feels like a ghost that's never coming back. It's sad, really, that all of the scouts and executives who were skeptical about the 2013-14 NBA Rookie of the Year's future as an NBA starter were right on the money. Since February 2015, the former Syracuse guard has played for Philadelphia, Milwaukee, and as of this year, Chicago -- where he's currently out with an injury, which the Chicago Sun-Times reported Tuesday may keep him out for a bit longer. 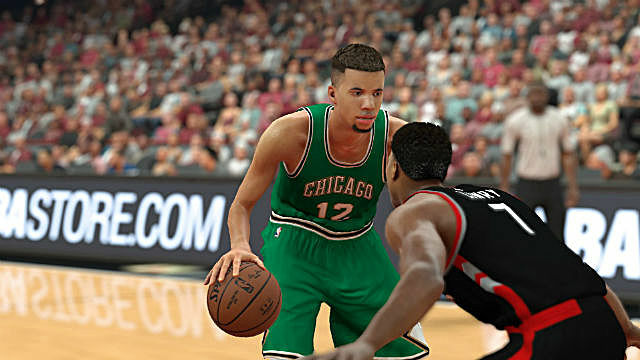 In-game, though, none of that matters if you can land MCW on your roster. 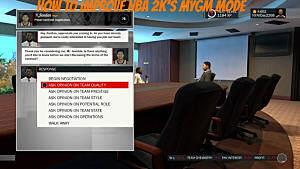 Chicago normally seems open to trading him because of their depth at guard and his cheap contract, so check in with the Bulls and see what you can get for a point guard that has a 75 steal rating. While I do have a slight Syracuse bias, I will say that Carter-Williams is enjoyable to use in the passing game, especially when he can thread the needle to his big man. There's also that 75 Driving Layup rating, which will lead to some fun plays on offense -- especially when you can get some of the higher-rated guards to mess up and allow you to score. For those wary about the former Syracuse star's durability, some have suggested using Carter-Williams as a stopgap point guard with point guards like Markelle Fultz (Washington), Dennis Smith (NC State), and Lonzo Ball (UCLA), who are all available in the 2017 NBA Draft. It's a strategy that could work, especially if you try turning MCW into a sixth man, Shaun Livingston-type of point guard. But I would see what he can do for you as a starter before making that decision. Leave it to the Nets, a team who mortgaged nearly all of their draft picks for Deron Williams, Joe Johnson, Paul Pierce, and Kevin Garnett (not to mention the March 2012 trade for Gerald Wallace that led to Portland drafting Damian Lillard) to find one of their future key pieces by way of not even needing a draft pick. Undrafted out of Cincinnati in 2013, Kilpatrick bounced around the D-League and NBA before landing with the Nets last season. 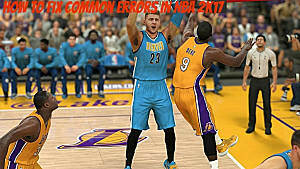 Now, set to turn 27 in just under a month, Kilpatrick ranks behind only Brook Lopez (82) on Brooklyn's overall roster on 2K17. But, thanks to a cheap contract and the Nets having a plethora of guards in-game, acquiring Kilpatrick is easier than you'd expect. Make sure you have enough space on your roster, though, as Brooklyn may try to get you to take on another player like Anthony Bennett or Randy Foye. Don't worry about Brooklyn being stubborn! 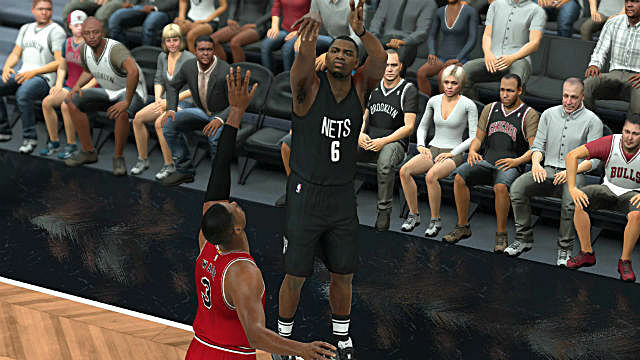 Kilpatrick is faster than you'd expect with the 82 speed rating, and he'll get you some needed stops on defense. The one thing you won't get from Kilpatrick, though, is sharpshooting -- especially not from long-range. He does have a 79 Open Shot Three rating, but don't let that fool you into thinking you can use him the way you would Stephen Curry or Ray Allen. The problem that people have with Carroll is simple: that contract, which is paying him close to 15 million a year, is ugly -- and that's even with some of the more recent NBA contracts out there. Toronto, whether it's because they already have 77 overall Terrence Ross at the forward position on the roster or because Carroll's overall is fairly low, always seems willing to trade the former first-rounder to whoever will bite. Like with Kilpatrick, Toronto may want you to take another player and you yourself may have to give up a player to compensate for the salary, but acquiring Carroll will do big things for your team. The guy is an all-around small forward -- not in the way that LeBron James and Kevin Durant are where they dominate with their athleticism, but instead with his defense and his hustle. As you know if you've seen Carroll play, the guy's defining feature is his hustle, which is why they call him the Junkyard Dog. Even when all seems lost, this is the type of guy who will run after loose balls, chase down opponents, and have the best locker room pranks. 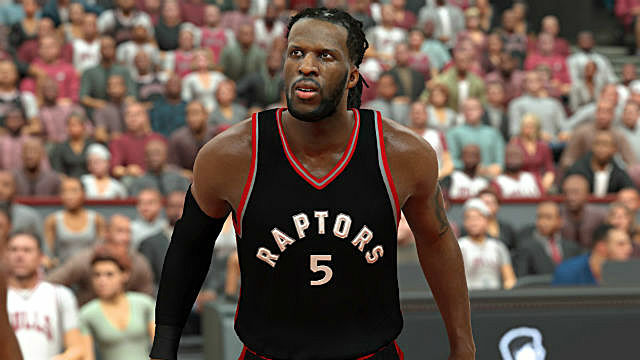 Sadly, NBA 2K17 doesn't have locker room pranks, but they do have Demarre Carroll doing big things. You will want this guy on your team, believe me. Because Yi is a free agent, I don't have to talk about what it takes to acquire him, so we can keep this short. During his first stint in the NBA from 2007-11, Yi struggled, especially on those dismal New Jersey Nets teams where it seemed like he, Devin Harris, and Brook Lopez were going to become a dominant big three. Now back after some time overseas, Jianlian brings some much-improved offensive skills to the table, including an 84 Open Shot from Mid-Range rating and a 78 Open Shot Three. 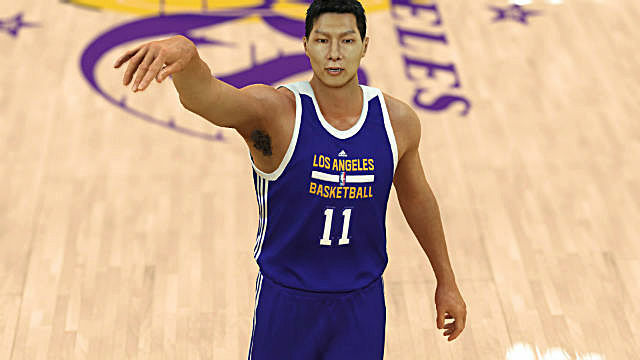 Unlike other big men, Yi also has great hands, coming in at an 87 in that category -- meaning the point guards who try to get greedy and force the ball out are instead going to wind up with a foul. With a guy like this who you can realistically sign to a cheap deal and who is still young enough to have some big years ahead of him, going after Yi instead of holding out for a star big man in free agency is probably your safest bet. Those ratings should say it all, as should Nurkic's age. If you're able to land this kid in a trade, you are getting a young and dynamic center who could easily fit in as your cornerstone big man. With an 85 Defensive Rebound and an 89 Boxout, Nurkic should grow into that bullying, frightening type of big man within a training camp or two. But, to get him, you may need to give up something valuable. Most trade attempts I had trying to get Nurkic involved one of my higher-rated guards (with the Knicks, it was Brandon Jennings; with the Trail Blazers, it was Allen Crabbe, both of whom are 75 overall), a second-round pick, and some type of prospect big man. Denver also wanted me to take on Jameer Nelson, but that's fixable by acquiring him and then immediately selling him off for some type of asset. Could you be facing a point where you have to consider giving up something big to get someone big? Sure, but let's be honest: that's normally how NBA champions are built. 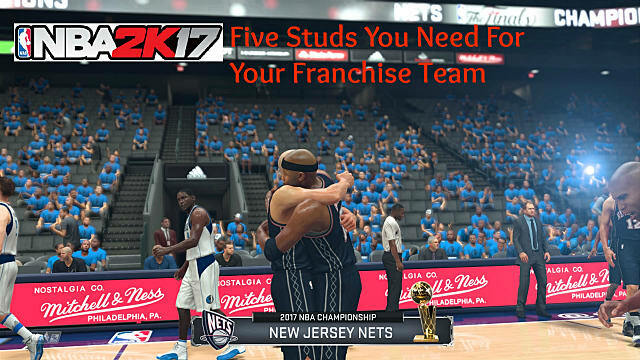 That wraps up my list of the five guys you need to pick up for your franchise team in NBA 2K17. Who else have you had luck with in your drafts? 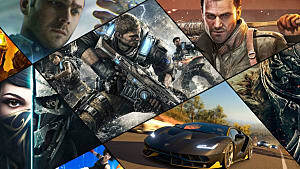 Let me know down in the comments!